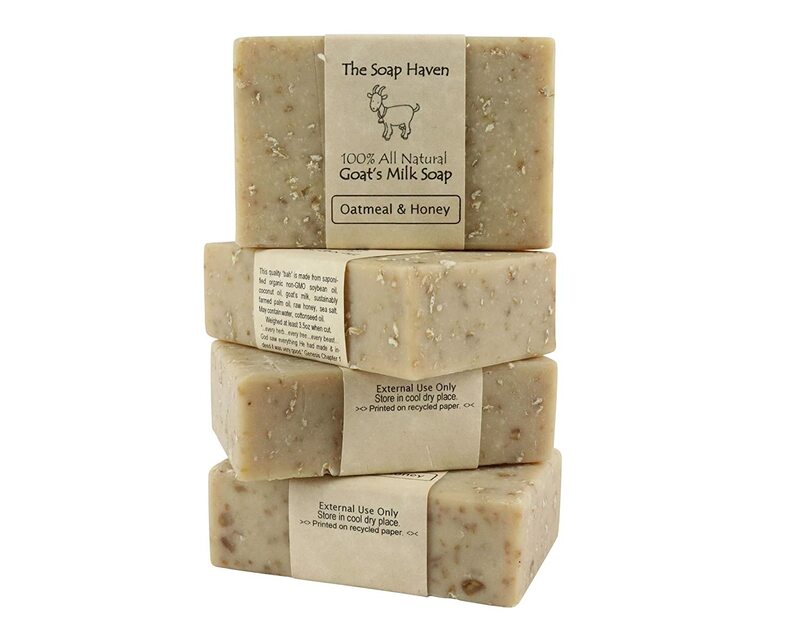 Oatmeal Soap - 4 Oatmeal & Honey, Goat Milk Soap Bars. All Natural, Unscented Soap - Wonderful for Eczema, Psoriasis, sensitive skin and all skin types. SLS Free, NO Parabens. Handmade in USA. Thailand.